HomeTECHWhat is Google and who made it? How many of you know what Google is (what is Google). Today, after 15 to 20 years, we went back to the Internet, but then there was a lot of information. People had information but they did not have much in the net. If you were to find something like this in the net today, similarly 10 to 15 years ago people used to get information in books or ask someone else. But asking people to get the information was only a big problem. At that time, there was some website with it, but which information was correct in the website, or there was no such problem as soon as there was a problem. At the same time, two Neojawan boys resolved this problem, that their solution was done through Google and they were boys. Let's start Google, who is Google, who has created and how Google started, I will give you some more information. 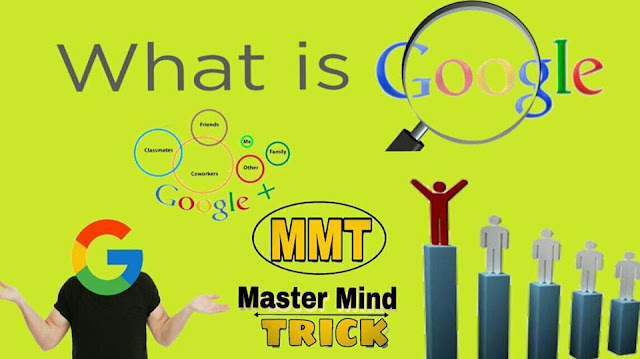 Google's name is hidden in his name, just like it is one of the world's largest search engines, in which you will find anything you find, it is a common sense that everyone thinks but its answer is not complete here. Drive, advertising service, application (from play store which application you download), its own The browser is Chrome name and has its own Operating System (Android), Google is your Income through all these. Well, in today's time, Google is a company of Arbo trillion, which has made its own place in the Oxford Dictionary, which is a verb. But there were two Ph.D. students. The students whose name was Sergey Brin and Larry Page, who were students of Stanford University, California in 1995, met each other in 1995 and started a search engine. In 1996 Sergey Brin and Larry Page were studying when they were studying Ph.D. and thought of separating their Ph.D. into the research project and thought, "If we rank the website, compare it with another website, it will be great, at that time This was the way to rank them, as per the often searched word, that web page will rank accordingly, and this idea is Google's look today. Initially they gave it the name BACKRUB. " In 1997 both of them gave the name of the search engine "Google", which is "googol", in reality, it is a mathematical term and Google made this googol wrong by writing it is a strange truth. Googol means 100 behind zero 1. Google's first doodle homepage was made in 1998, but Google now has more than 2,000 doodle homepages in the world, and in the moment there is a doodle team. Beginning of AdWords in 2000, and now Google is the world's largest company serving online advertising, which has made a big business successful. Text ads serve video advertisements and mobile ads, and in return, takes money. On the day of April 2004, this company launched Gmail, along with a great amount of space for the Gmail Data Store, and is giving even more in the present time. In 2006, this company bought a specially called Video Sharing Website Youtube. At present, 60 hours of video are being uploaded every single minute. 2007 bought Android and this is the best operating system of mobile device nowadays. In 2008, its own browser chrome came into the market, officially launched on September 2, 2008, it is one of the world's most preferred browsers. Larry Page became Google's new CEO in 2011, before Eric Schmid he was now the executive chairman of the alphabet. In 2012, there was an update for android 4.1 jelly bean, Google Nexus 7 tablets were launched. July 9, 2012, Google Now and the Google Voice Search feature have now started to become Google Assistant. Coming to Google Glass Market in 2013 In which glasses you can run your mobile. The VR HEADSET was started in 2015, now it has been quite fond of people. Google Loon Project was launched in 2016, where the Internet was reached where the Internet did not reach, and Google's first mobile phone Pixel was launched this year. Google Home was also launched in 2016, through which you can run all the electronic Device bids of the house, you can also find answers to some questions with it. Google.ai was launched in Google's Google i / o in 2017, where you will get AI tools and the launch of Google Lens with which you can find any photos of anyone that you know is what ??? Here you will know what the Google products are, about their work and how they work. Learn one by one. Calendar- What you want to do in the day, meeting with someone, you can store all these details here. You can also share an event with your friend. Google Drive - where you can keep your data and download data whenever you want. Earth- Through it you can make lions of the whole world sitting at home. Image - in which you can search any photo. Map- This is an App where you can easily search any place and discover a way to go. Google Now - where you can easily search any information like you do on Google, and it gives the same information about which you search. Google Photos - This is the online place where you can keep photos, videos. You can download it whenever you want. YouTube - This is a Video Sharing Site, which you will find in the video that you will search in here. Here is some information about Google's products, which gives more than a share of who owns this company, Google has a share of people, but I will tell the names of just three people. Friends, today's information will be good enough for you, hope you find this useful information. By the way, you have been able to answer that Google's income, what is Google in Hindi, you can answer this question, by the way, according to me, all the world's big companies would like to work with it. , And Google is slowly working on Machine Learning, Deep Learning, and Artificial Intelligence so that Inshan needs to lower his mind, Google's motto is that the life of the person would be postponed, if still, you have any questions to ask If you want, go to the bottom of the comment box. Written and our Blog surely Subscribe to Mastermind Trick thanks to.